I joined my pal Rick on his annual Elk-Kings winter traverse with the Mazamas. Our group started out in dry but cold conditions. 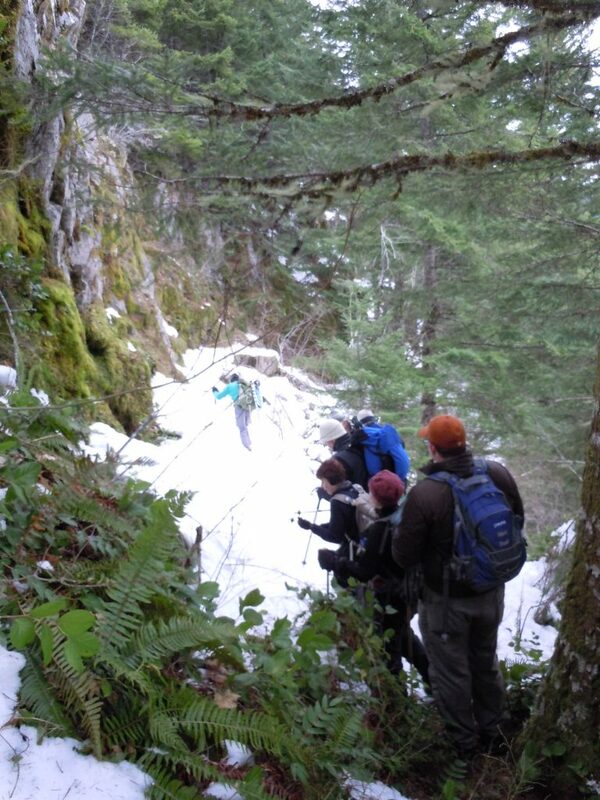 As we climbed up towards Elk Mountain, we eventually headed into snow. The team was large and there were a bunch of newbies on board. They were not in great shape and they also didn’t have any experience in the snow. So, the pace was S-L-O-W. I was glad I brought extra layers. From the summit of Elk, we had the treacherous task of dropping off the backside and starting the traverse over to Kings. We took a lot of time negotiating the steep, exposed trail since it was pushing the comfort zone of some of our team members. Winter hiking presents many challenges that summer hiking does not. And many are taken by surprise at these challenges. 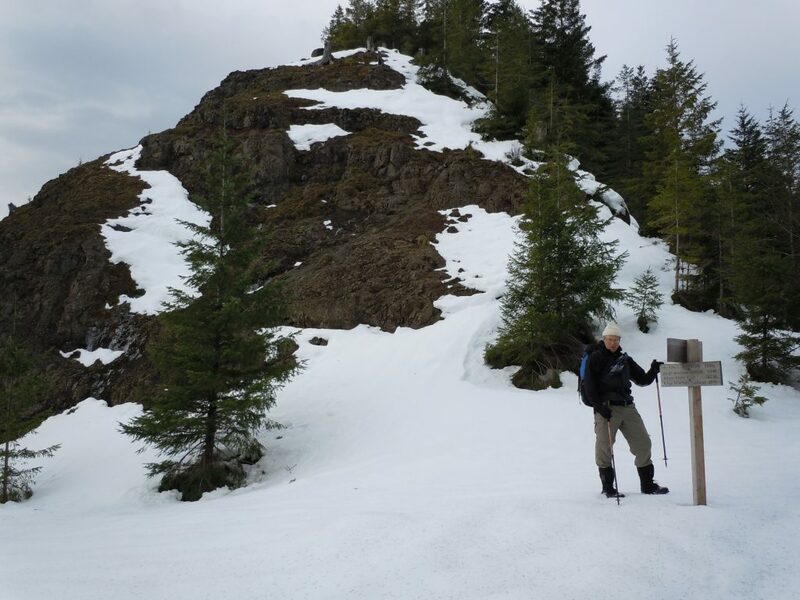 Even though there wasn’t a lot of snow on the trail, it was enough to change the character of an already difficult hike. Walking through snow takes more energy: it’s slippery, it hides surface features underneath it, it can clump up on the bottom of your shoes, and it can make your feet wet and/or cold (with the wrong footwear). In addition, a flat trail cut into a slope can become precariously slanted with a coat of snow on top, as seen below. Light reflecting off the snow can also alter your depth perception and thus make it at least psychologically more difficult to walk on. All these factors kept our progress slow and steady. I was happy to be able to spend time with my friend Rick and support him as a Mazama hike leader. This is the “off season” from climbing, so trips like this are intended to be good conditioning so you can stay in shape over the winter. I’m not sure how well this helped keep me in shape, so I’ll have to head to the mountains at my own speed soon. This entry was posted in Hiking, Oregon and tagged hike366 on December 5, 2010 by Jess B.